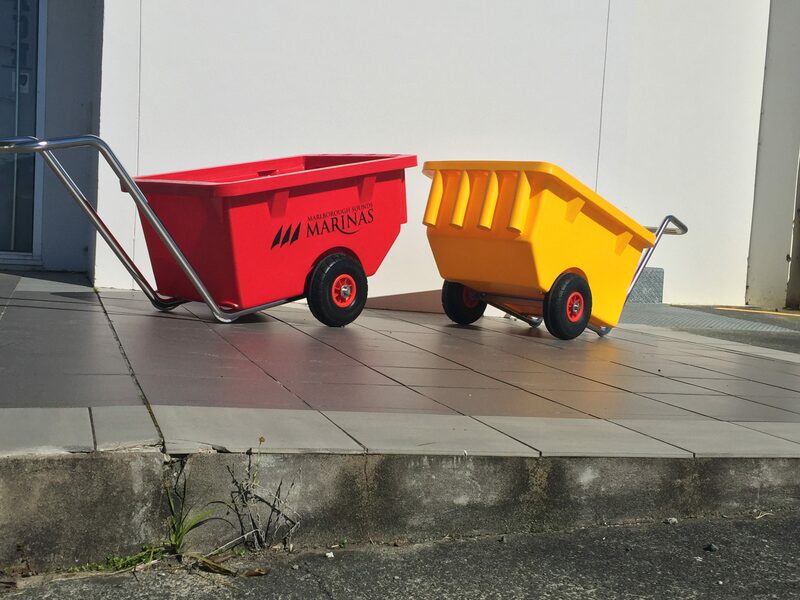 Dixon Marina Dock Carts are made in New Zealand by Dixon Manufacturing Ltd. The ergonomically designed handles are constructed from marine grade electropolished stainless steel and the cart is made from recyclable polyethylene and has a volume of more than 37 gallons and weigh about 66 pounds. Solid puncture proof shock absorbent wheels reduce maintenance. The carts feature built-in rod holders and are available in 24 colors. Marina logos or names can be added to any part of the cart. For more information visit www.dixon.co.nz.